January 28, 2019 — Early in the morning, when the sun had just emerged, our Post-Release Monitoring (PRM) team from Nles Mamse Camp set off on a routine patrol to observe orangutans. As always, the team searched for an orangutan signal using the telemetry system before deciding which direction to travel in. On this particular day, no signal could be detected, so the team decided to head toward the Transect 8 area. Whilst walking along the transect, the PRM team noticed food scraps – thought to have been from an orangutan – scattered across the forest floor. 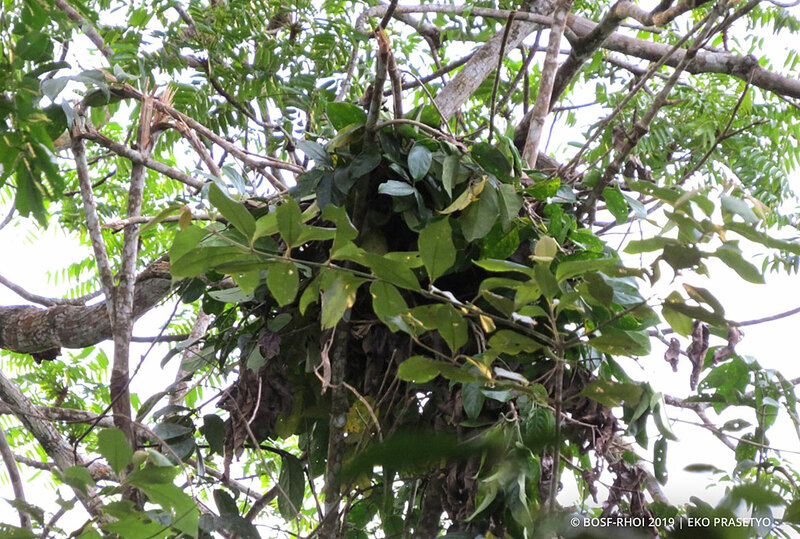 Our team members automatically looked up and spotted a used nest sitting atop a tree. The owner was nowhere to be seen, as the nest appeared to have been left for quite some time. The team continued down the transect in search of orangutans. Not far from the location of the first nest, the team found another nest; this one looked fresher. A closer look helped determine that the nest was only about a day old. The team stopped to check the telemetry system, hoping to pick up an orangutan signal. Once again, however, luck was not on our side – no signal could be detected. Slightly disappointed, the team headed back to camp, hoping for better luck the following day. Normally, when the PRM team finds a nest that has been recently used, an orangutan signal can usually be detected nearby. On this occasion, however, the team was left completely puzzled. 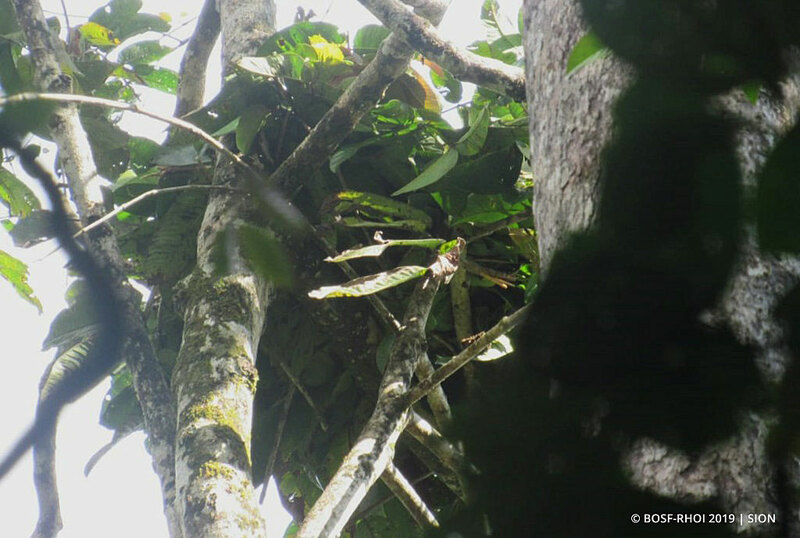 During a search of the same transect the very next day, the team discovered yet another fresh nest in a tree, this time a little further down the transect. Determined not to miss out again, the team quickly spread out in search of the orangutan, but still came up empty-handed. After almost an hour searching the transect, there was still no clue as to who built the nests found in Transect 8. The day was beginning to turn dark, and it was time for the PRM team to return to camp. We had failed to find an orangutan for two days straight. This is the reality of our work: It is not always easy to track down and observe reintroduced orangutans, especially those who have successfully adapted to their new environment and become truly wild, independent individuals. This fact alone gives us confidence and a sense of accomplishment – that our released friends are thriving, and living peacefully in their natural forest habitat.